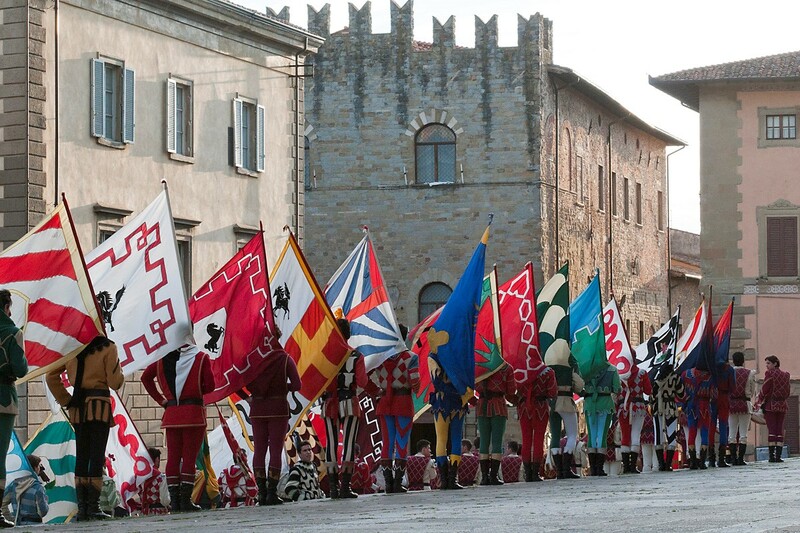 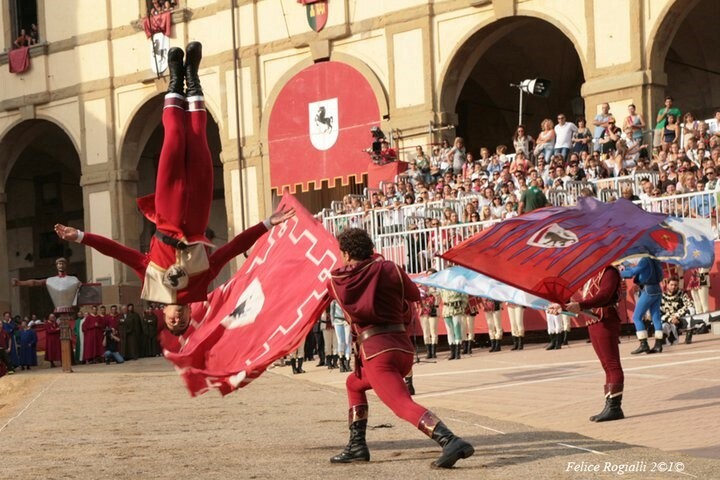 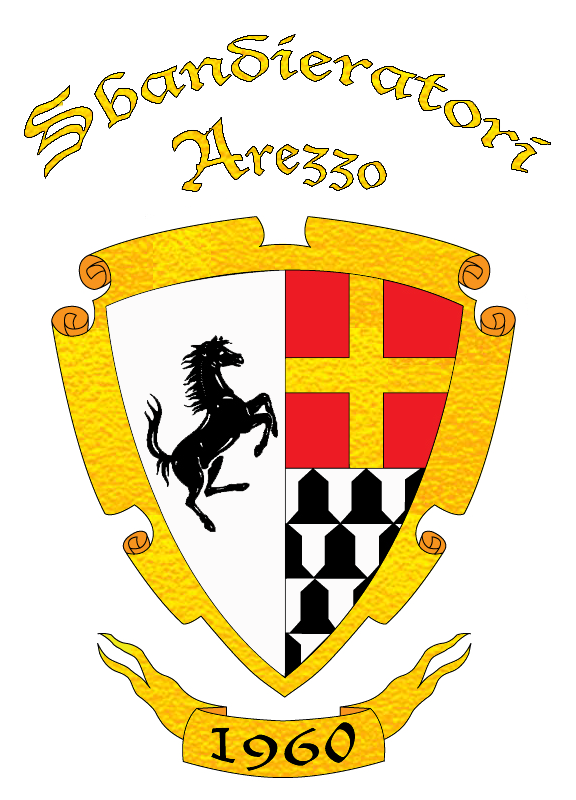 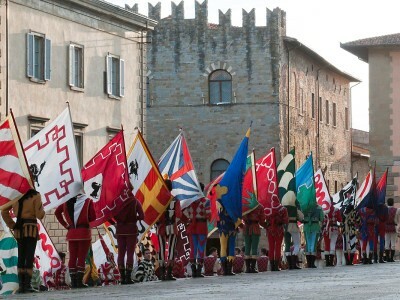 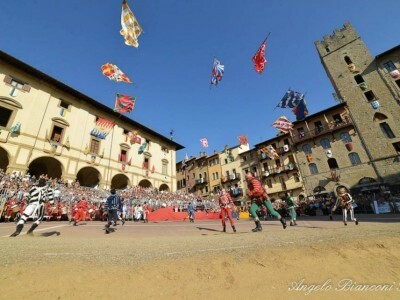 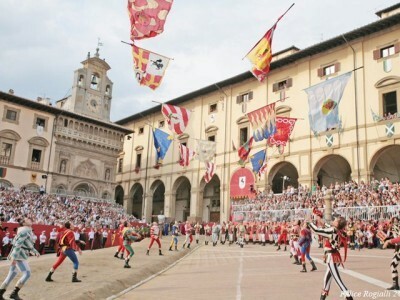 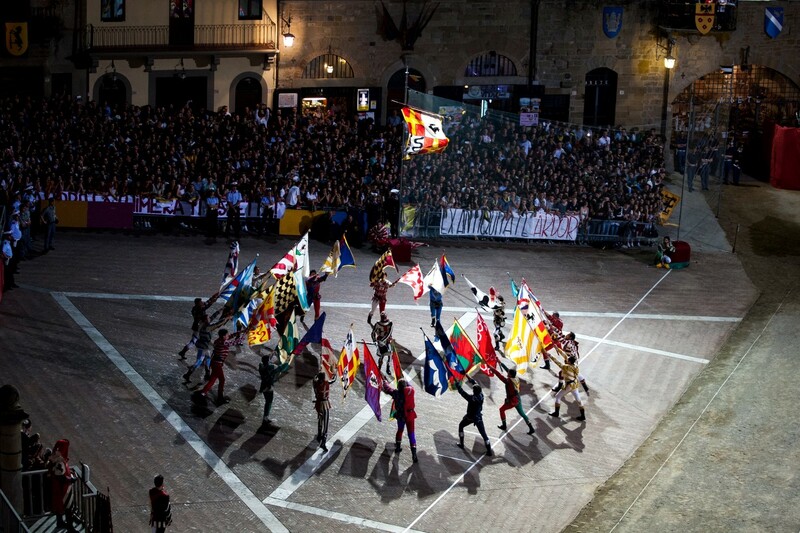 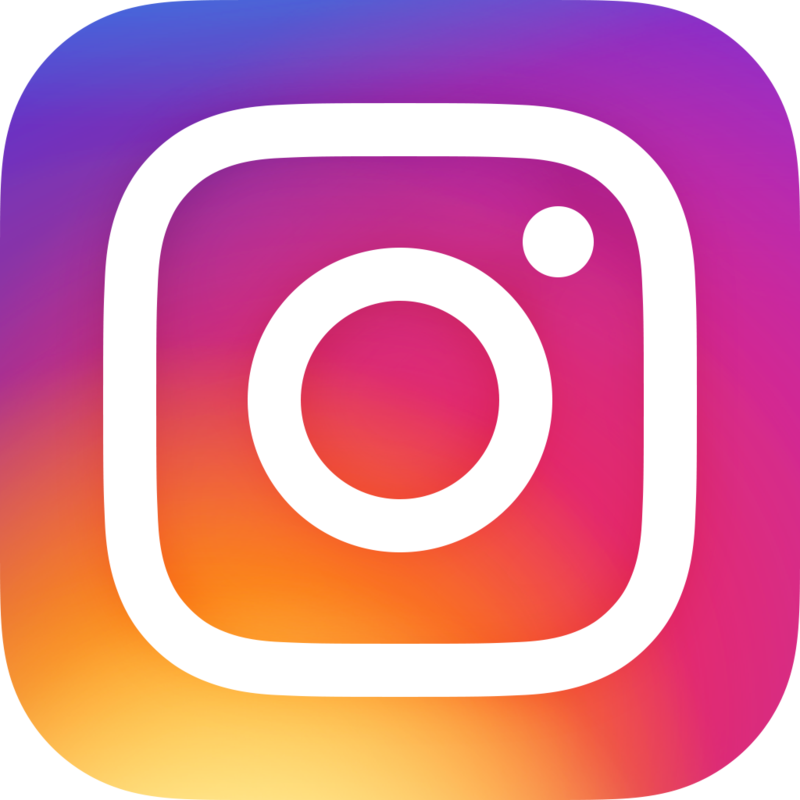 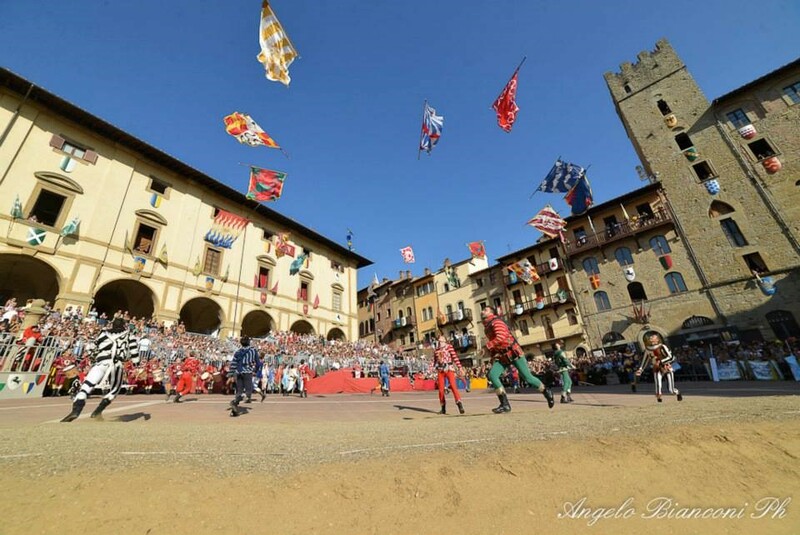 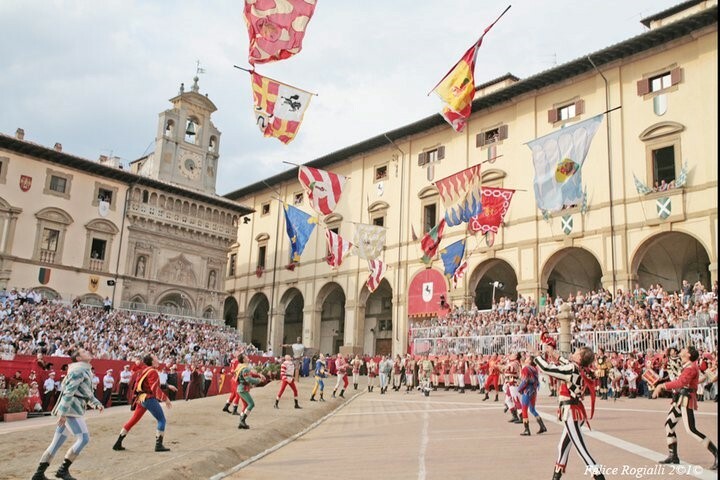 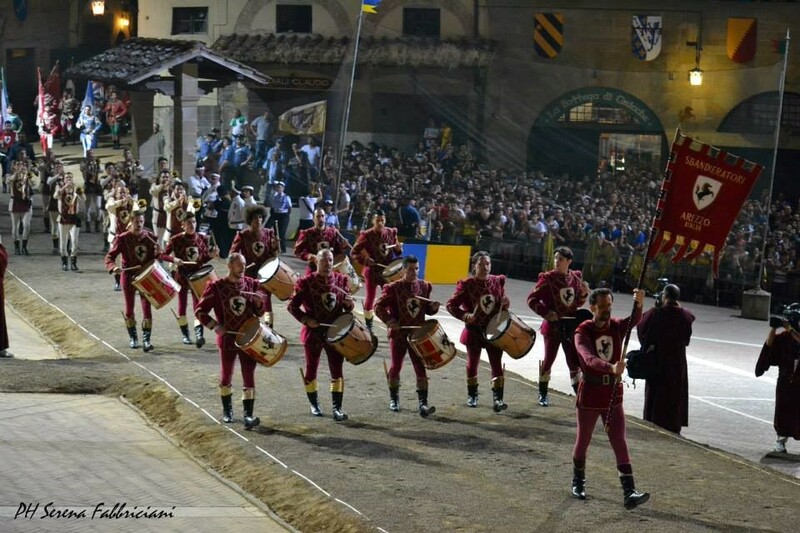 The Flag-wavers Association of Arezzo is an independent organization created as representative of the Saracen Joust (Giostra del Saracino) of Arezzo, a bi-annual medieval tournament the group contributes to. 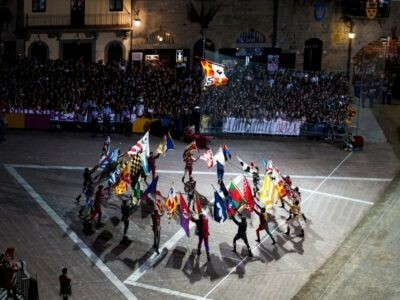 Its activity, though, is not limited to it but also includes and is based on its many performances in the rest of Italy and abroad. 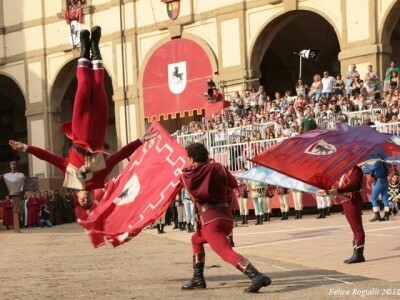 Since 1960 the Association’s primary aim is to revive the art of “flag handling” in its most complete form, preserving the original military spirit but also trying to enhance its aesthetic and choreographic aspect. 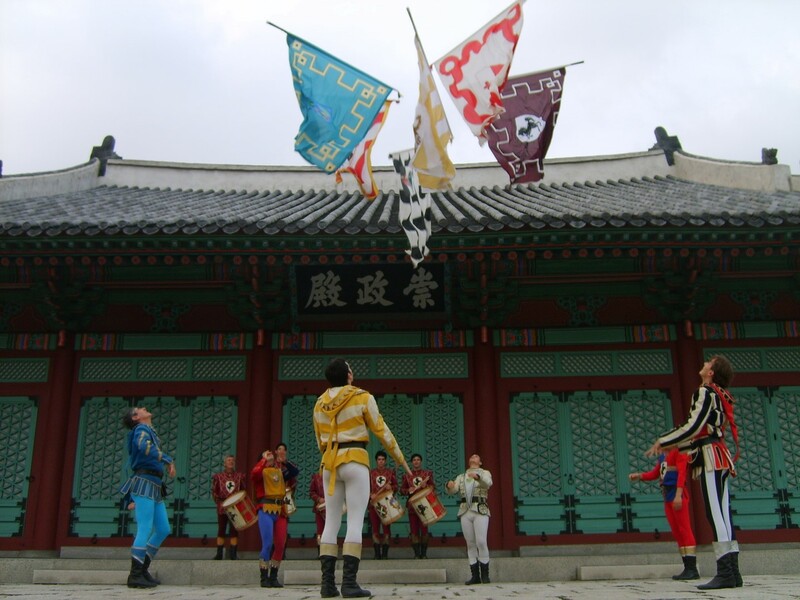 For this reason, the repertoire of the group ranges from conventional movements to more elaborate exercises – still resulting from a meticulous historical research – up to its true flagship: the Skirmish. 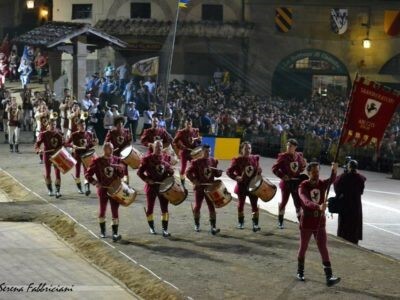 No surprise, then, when single, in-pairs and group performances – always accompanied by drums and clarions – fascinate viewers with their elegance and athletic excellence. 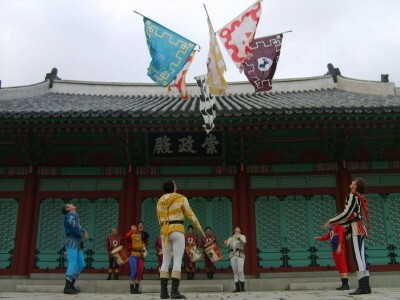 No matter how far they travel, the Flag-wavers excite great admiration in the crowd, being these standard-bearers the perpetuation of an ancient tradition. 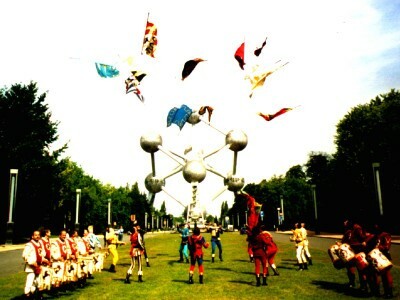 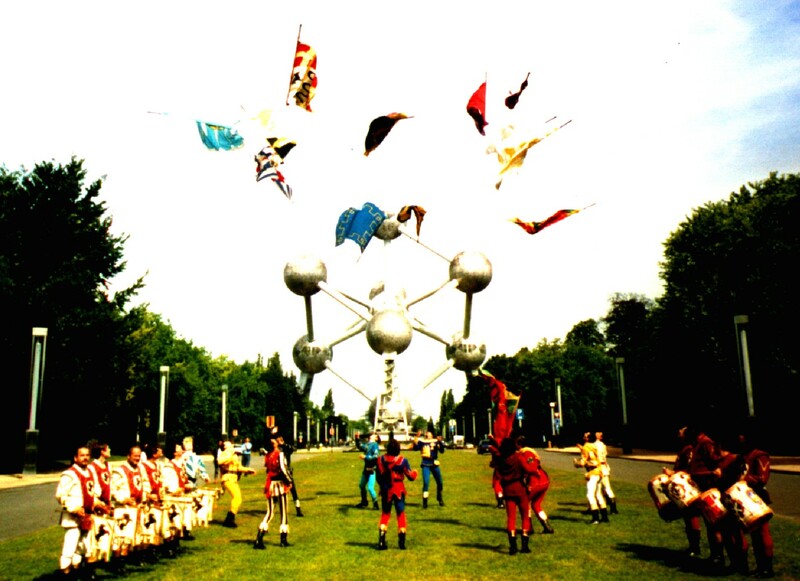 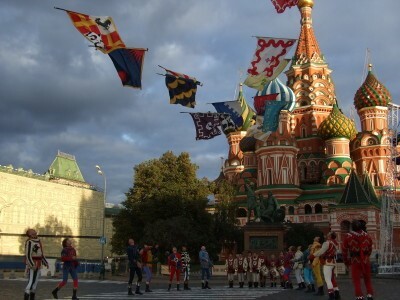 Today the group is made up of more than 60 flag-wavers and over 20 among drums and clarions and has spread the name of the city all across Europe and in the other continents with over 1.700 performances in the most important squares around the world.